Origin Solutions is committed to successfully managing critical projects to achieve budget and schedule objectives with a high degree of quality while maintaining continuous customer relationships. Another way to understand our involvement is to think of us as a resource and manger that will interact with the other project team members in order to disseminate information and manage responsibilities. 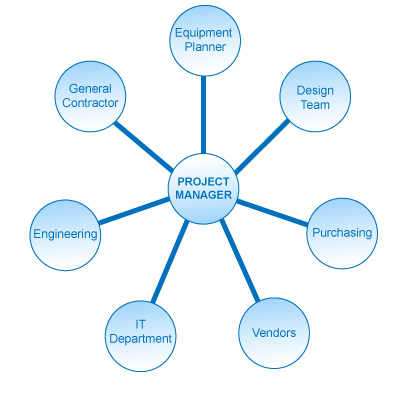 As shown in the figure, we will become the hub for direction and coordination of all the necessary team members.